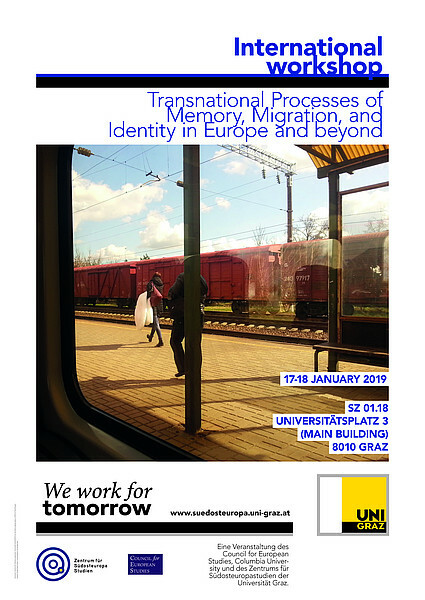 In this international workshop, the CES Memory RN conveners wish to explore transnational memory and identity in the context of migration - the way in which memory and identity migrate, transform, glocalize, multiply over temporal and spatial dimensions. Additionally, the event’s aim is to further understand and theoretically conceptualize how both migration of people and knowledge affect values, bias, norms and production of solidarities and hostilities among various groups. By emphasising the transnational dimension, we can move beyond the nation state as unit of analysis and explore the linkages, interconnections of memory, migration, and identity between different localities. Therefore, we look at these processes in a continuum including memory and migration processes and the way these real and virtual flows of people and ideas reshape the sense of belonging across several generations.